A few of ZMG Ward Howell’s leaders headed to the Cesar Virata School of Business to talk to the eager graduates of the Business Administration and Business Administration & Accountancy programs on what to expect as one prepares to transition from student to young professional. Regina Z. Perlas, Head of Strategic Projects, opened the session by discussing skills that are relevant in the workplace of the future. Associate Director Ray Hicks then followed with an overview of the FinTech industry, which is a potential starting ground for many of today’s graduates. 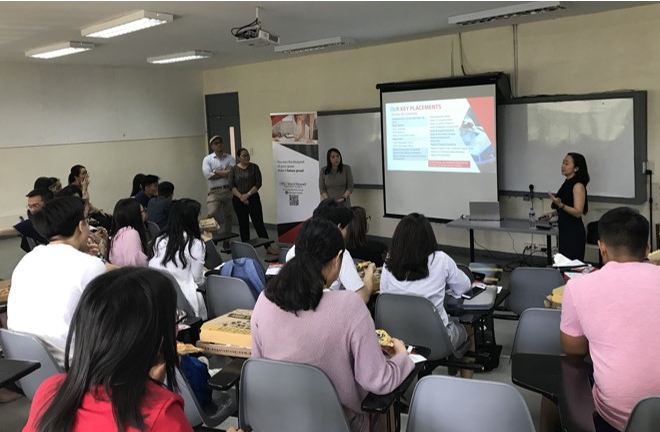 Directors Tina Vivas and Naisa Santos, along with senior consultant Eve de Leon, introduced ZMG Ward Howell to the students, and fielded questions on how to get the attention of potential employers looking for work experience, figuring out the career path for oneself, and other related concerns when starting out one’s professional life. 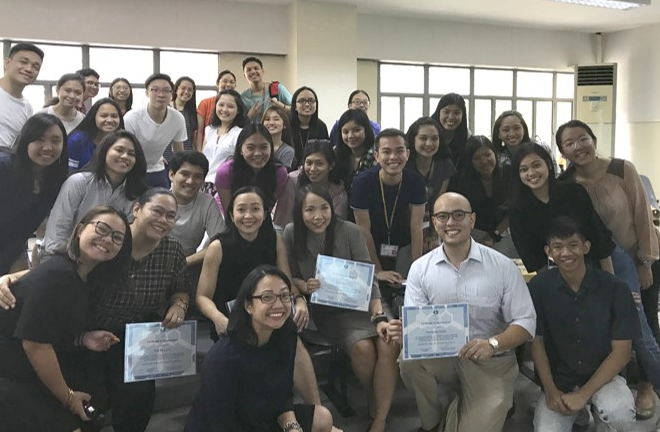 All in all, participating in university events such as this recently held career talk was a good way for the Firm to gain mindshare among this year’s newly minted graduates. More than that, the Firm’s leaders were able to inspire and encourage this year’s graduates as they join the labor pool. ZMG Ward Howell leaders give the graduating class of UP College of Business Administration and Accountancy an overview of the company, and answer questions on getting started with one’s career. The ZMG Ward Howell team pose with the students as they closed the session.